INTI’s School of Hospitality students and staff had the distinct honour of welcoming Professor Aiko Tanaka from Osaka Shoin Women’s University, Japan who visited INTI International College Subang to conduct a workshop on the flavour and concept of Umami. The cookbook author and food activist passed down meaningful insights and knowledge on traditional Japanese cuisine and its penetration into Western cultures and civilization over the last few decades. Professor Tanaka further described how Western cooking has also influenced Japanese cuisine to what it has become today, which is a fusion of culinary practices and cultures. Introducing them to local Japanese ingredients which are fundamental to Japanese cuisine, Professor Tanaka and her team provided INTI’s students a taste test of katsuo or more commonly known as bonito flakes and kombu or kelp which are base ingredients for making dashi, a savory soup stock that is a fundamental base for Japanese food. “The umami component resonates strongly in dashi and it was an element discovered by Japanese scientists. The umami flavor in itself, which is from products containing glutamate, is what makes Japanese cuisine unique to the taste receptors. Also, you will notice that the flavors in Japanese cuisine can seem monotonous but there’s so much depth and variety within the umami flavor if you research it,” shared Professor Aiko Tanaka during the workshop. Professor Tanaka also put together a cooking demonstration with her fellow colleagues from the university, taking the participating students on an appetizing journey to traditional Japan. 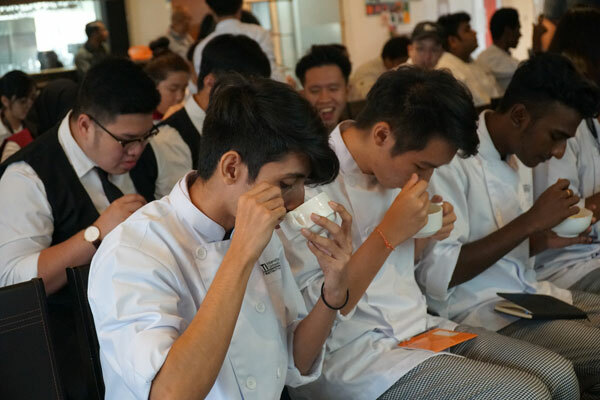 Starting with the traditional dashi soup, the students and faculty had the opportunity to sample the different types of dashi soups that were prepared while savoring and profiling every flavor that came across from each sample broth. They were also treated to the preparation and tasting of the traditional miso soup. Professor Tanaka also introduced the different types of miso, its origin regions and usages in different types of Japanese dishes. Also joining Professor Tanaka during the workshop was Chef Hiroaki Ukita, Owner and Chef of Franc ét élégant in Osaka, Japan, who used both Japanese and local ingredients and herbs to produce a soup base broth which represents the fusion of umami flavours that is now found worldwide. Showcasing the usage of ramen noodles in Japanese cuisines, both Chef Ukita and Professor Tanaka shared the history and origins of ramen which comes from China and how it is also infused with the Japanese dashi soup. INTI’s culinary students were also given the opportunity to work alongside Chef Ukita in preparing the soup at the school’s training kitchen. “Tradition has a lot of wisdom that we have yet to understand – even the traditional ways of eating carries so much knowledge about longevity and health. We need to take time to research and understand how these traditional ways of eating can positively impact our livelihood today. One of the ways we can do this is by integrating food traditions in our education system,” shared Professor Tanaka. The two-hour long workshop was a feast for the eyes and for the bellies of the participating students and faculty members. Ending the session with a group photograph and a souvenir presentation, the students had the opportunity to network and mingle with the delegates from Japan to gain further insights on Japanese culture and cuisines. “This was a great experience for our students to watch and learn from someone like Professor Tanaka who has so much wisdom from her vast years of experience in research and who understands the value of different cuisines and cultures. We look forward to greater collaborations in the future with faculty and students from Osaka Shoin Women’s University in Japan,” shared Chef Eddie Tan Kean Buan, lecturer and chef from INTI’s School of Hospitality. INTI students gain in-depth industry experiences and insights through immersive workshops like these to help them enhance their knowledge and widen their understanding of global developments. 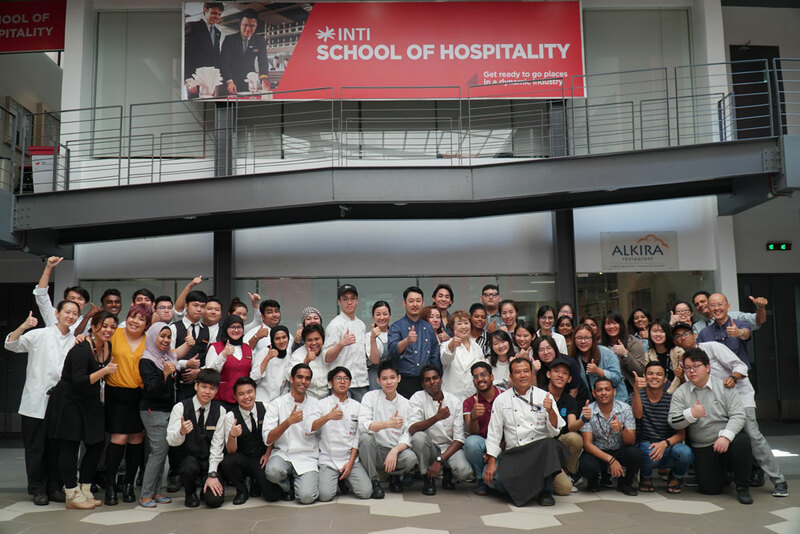 INTI’s Hospitality and Culinary Arts programmes are infused with industry-focused activities that help enhance the students’ learning experience both inside and outside the classroom. By participating in these workshops, students gain not just a textbook understanding of international cuisines and its history but rather a palatable experience which is more valuable.